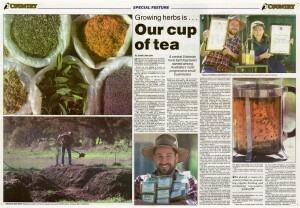 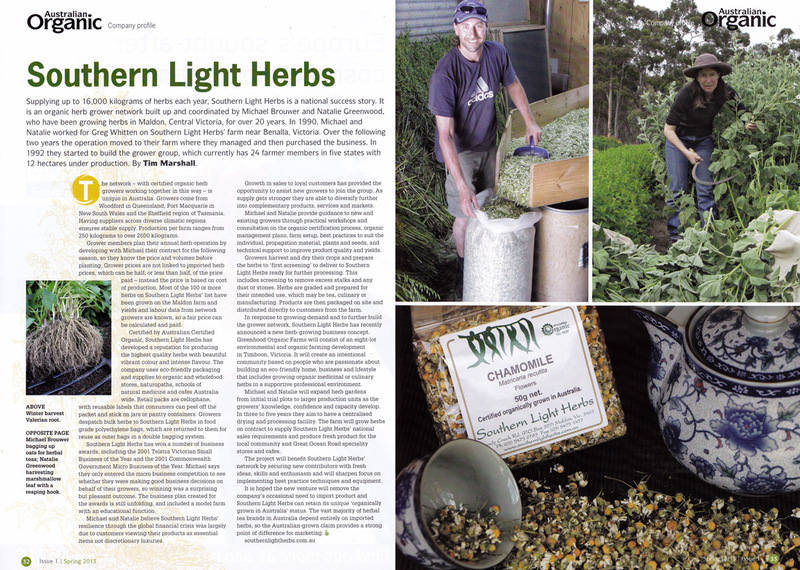 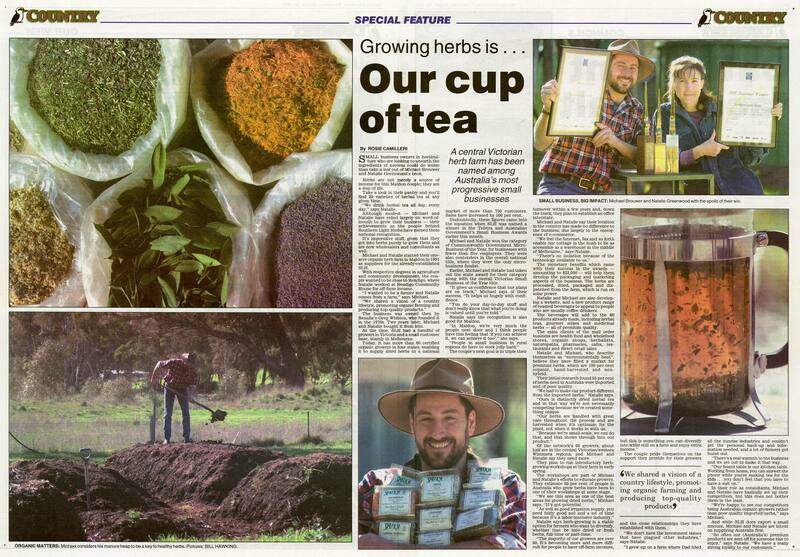 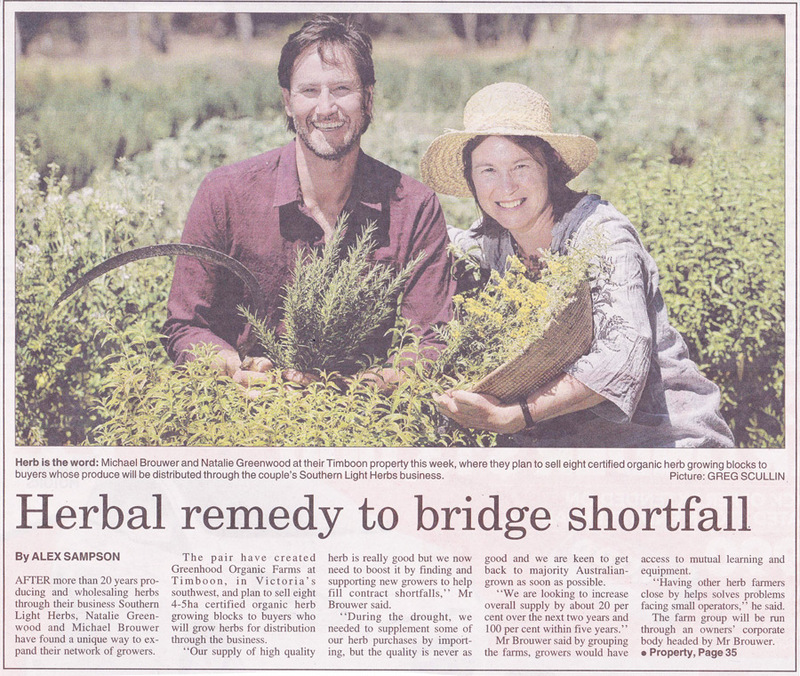 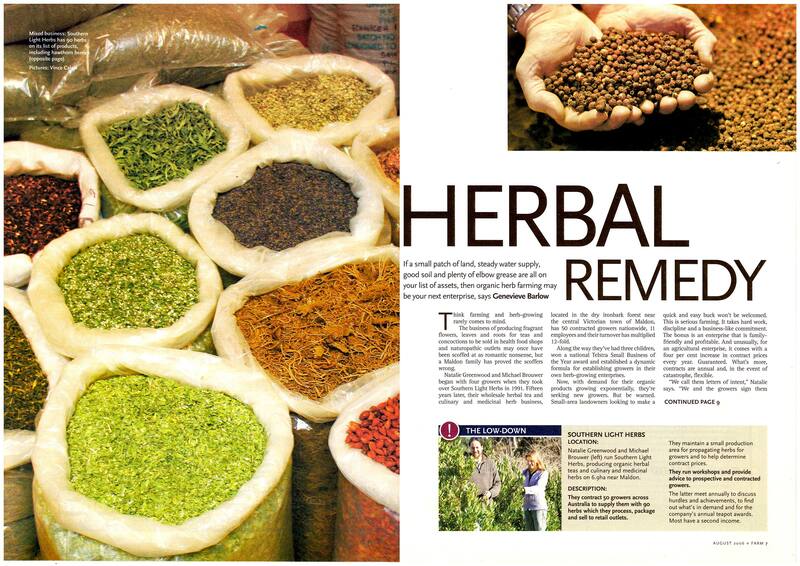 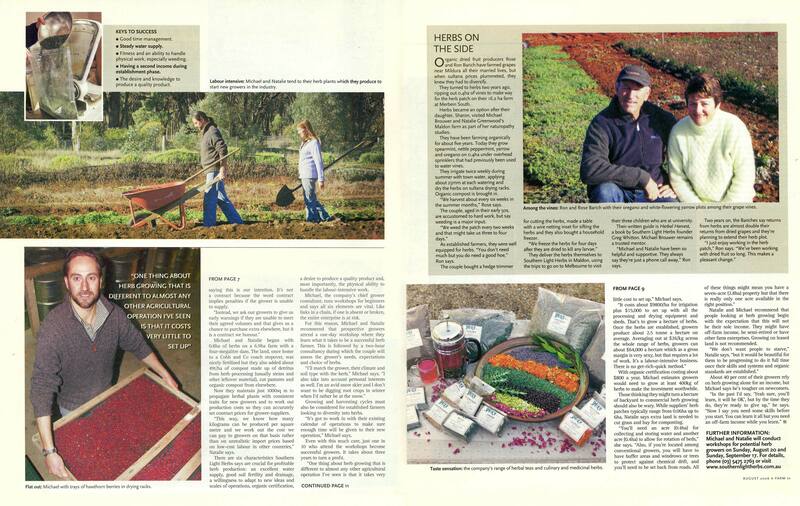 Below is a small selection of Southern Light Herbs articles in the media over the years. 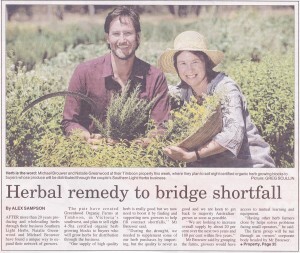 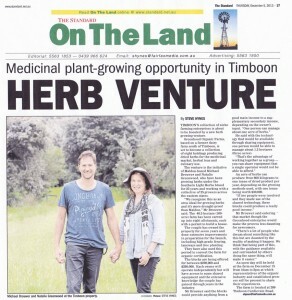 We hope they will provide insight to Southern Light Herbs and its grower’s network. 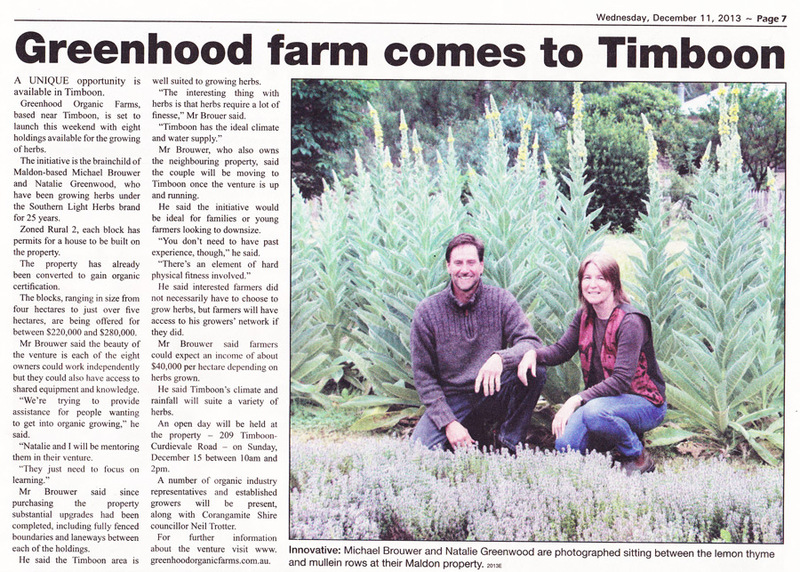 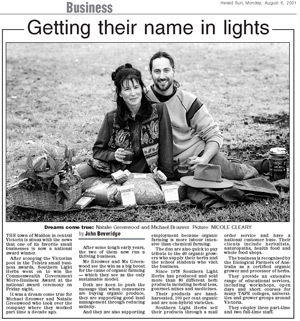 6) The Cobden Times, 11 Dec 2013.